On December 3 Seattle opened its first Downtown parklet, at 1516 Second Avenue, a block from Pike Place Market. 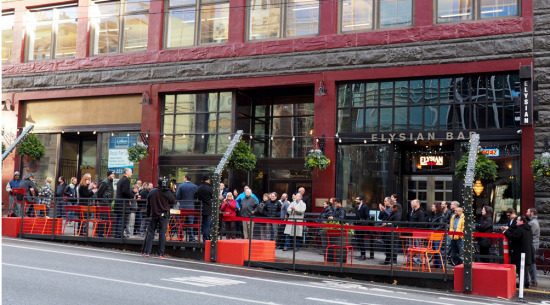 Designed by Gustafson Guthrie Nichol, built by Krekow Jennings, and funded by Urban Visions, the Chromer Building parklet is named for the distinctive red building—an early home to Amazon—that it fronts. 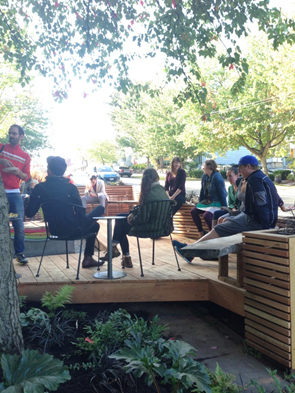 Stretching the distance of five streetside parking spaces, the project consist of a series of wooden platforms bridging between bright red concrete seating blocks and topped with movable tables and chairs. 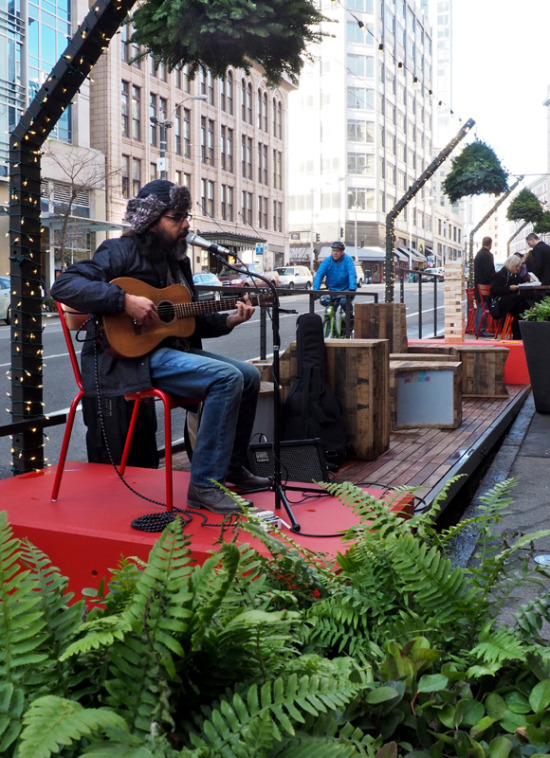 In addition to providing a space for lounging and eating, the parklet is also designed for performances, with the platforms and blocks doubling as stages. 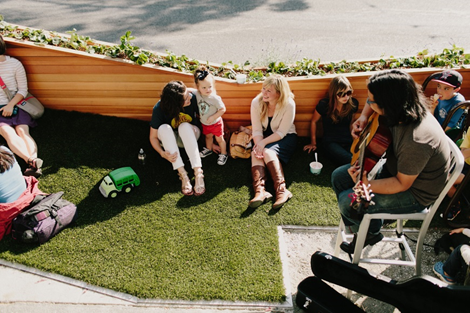 Thanks to Seattle’s Pilot Parklets Program the city’s Department of Transportation has already opened four previous parklets, in Wallingford, the Central District, Chinatown, and Capitol Hill. 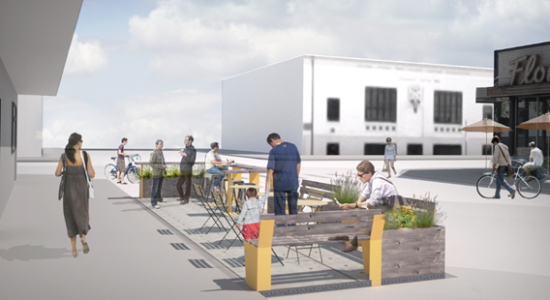 The program will create fifteen total streetside parks. 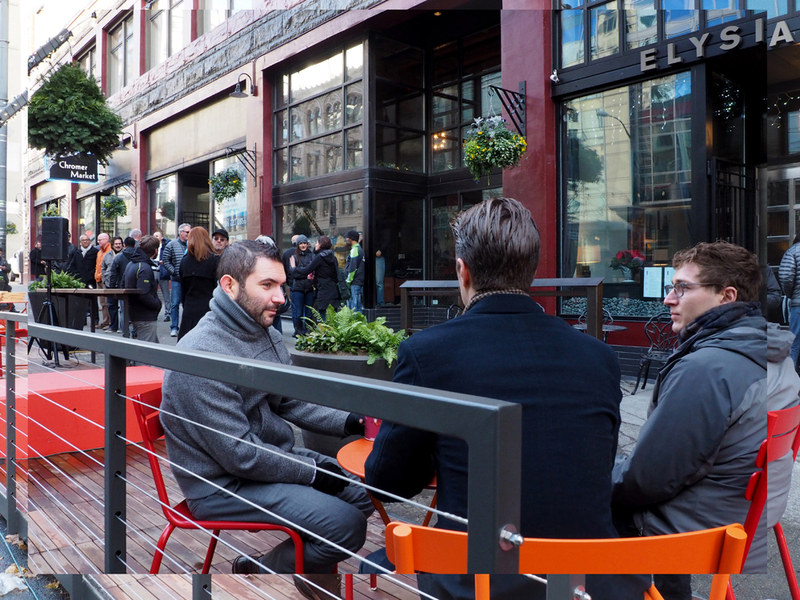 Check out pictures of the Chromer Building parklet, and other new Seattle parklets, below.